A position paper issued by the Jordan Labor Watch of the Phenix Center for Economic and Informatics Studies recommended the need to review the economic policies implemented in Jordan over the past decades and still being applied, which led to an increase in poverty rates. The paper issued by the Labor Watch on the occasion of World Children’s Day on 20 of November each year, recommended activating anti-poverty policies, which is the main cause of child labor, and developing a fair social protection network that provides a decent life for the poor of all kinds. In addition to the reconsideration of wage policies towards raising them to be in line with the high price levels in Jordan. The paper also recommended the need to develop the educational process of the basic level to reduce the leaks of children from their schools. It also called the international community to assume its responsibilities towards Syrian refugees to prevent them from sending their children to the labor market in order to help their families to cover their basic expenses. 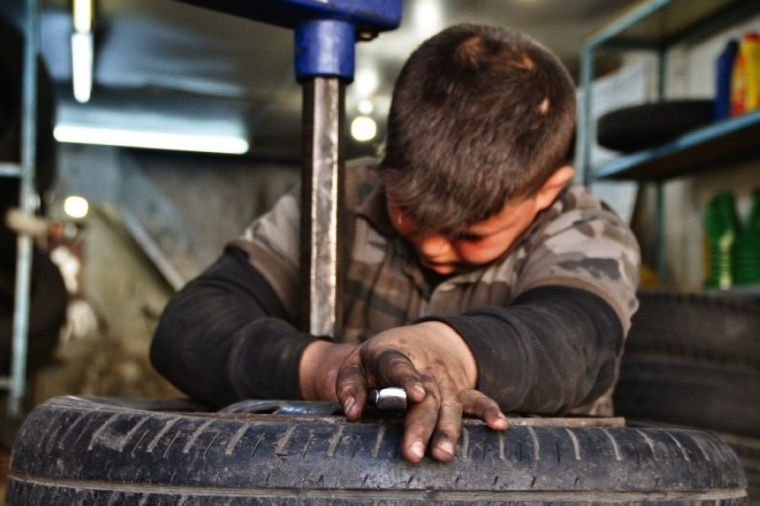 The paper called for the tightening of control by official institutions on places where child labor is concerned, the application of laws prohibiting child labor, the imposition of penalties on the right of violators and not only the payment of small fines, as well as the activation of awareness campaigns in the schools and for the families about the negative effects of child labor. The paper concluded by calling for the development of an accurate and regularly updated database of child labor in Jordan.